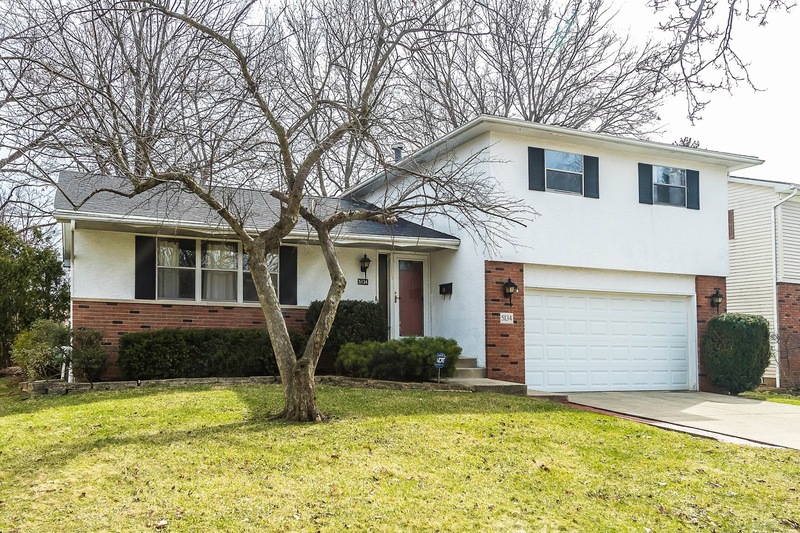 UPDATED AND SPACIOUS FOUR LEVEL HOME! Approx. 1/5 acre mature treed and fenced lot with paver patio and walkways. Updated marble floors in Entry and half Bath. Updated Kitchen has painted cabinets, new stainless steel appliances and hardware. Lower Level Family Room has brick fireplace and walks out to Screened Porch. Full Basement, professionally waterproofed (ready to finish). Master Suite has private full Bath and walk-in closet. Updated roof, furnace, flooring, paint, water heater, Baths and more! Over 1,700 SF! 3 BRs and 2.5 Baths. Only $175,900! Call DeLena Today!